Rhonda and Bill were looking forward to their empty-nest years together — until Bill had a mini-stroke and had to stop working. Now he’s depressed and distant and Rhonda’s not sure how much longer she can cope with his neglect. 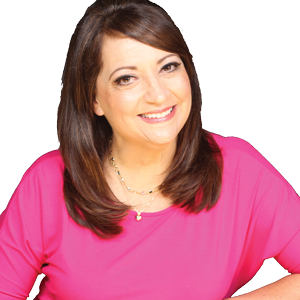 Dr. Deb has appeared as a relationship expert on Fox Good day New York, FOX Network, CNN American Law Journal Television, the Lisa Oz Show, NBC/WCAU The 10 Show, Comcast Network, and The Wow Show with Joumana Kidd as well as in Ladies Home Journal, Woman's Day, Redbook, Shape, and More magazines, and on numerous radio programs such as Heartbeat Radio USA, Voice of America Radio, and In Retro Radio.